The mind boggles as to why Arcane Roots aren’t huge. You’d think with the push they’ve had on enormous tours and festivals, comparisons to Biffy Clyro and Muse and a debut album in Blood & Chemistry that was certainly flawed but tantalising all the same, this would be a band primed to hit the big leagues and stay there. 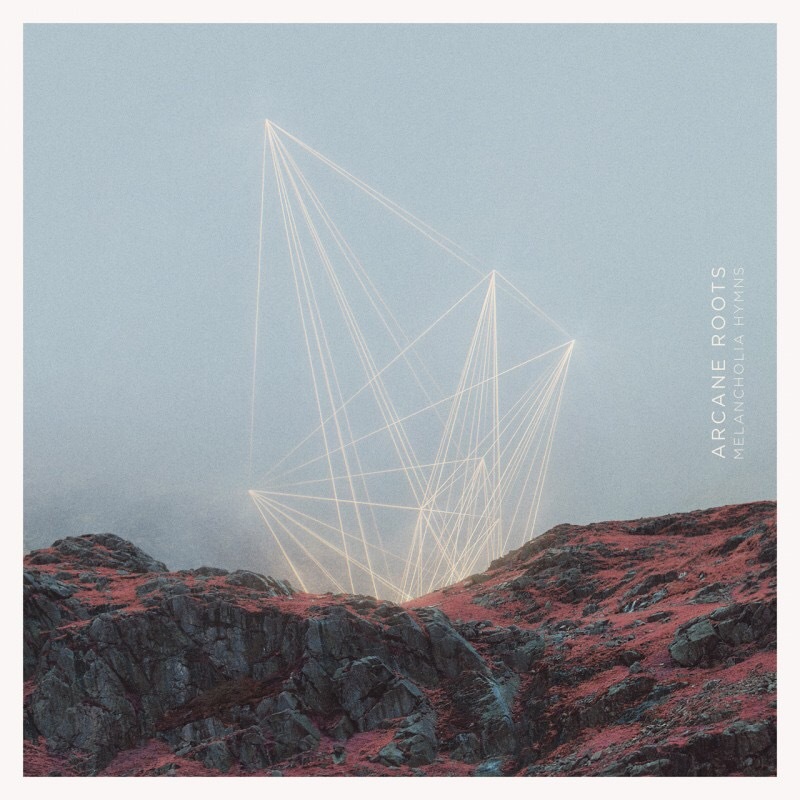 Then again, with the release of their Heaven & Earth EP in 2015, clues began to show that Arcane Roots knew how much of a hard sell they could be, and patched up a lot with that single release. Not only did it contain If Nothing Breaks, Nothing Moves and When Did The Taste Leave Your Mouth, two of the best songs they’ve ever written, those tracks alone opened all manner of new doors for where the trio could potentially take their sound – keeping their histrionics but going a lot heavier like the former, or making the jump to arena-ready alt-rock in the vein of the latter, something that’s paid enormous dividends for their spiritual predecessors Biffy Clyro. Instead, Arcane Roots have avoided both of those and taken a third route – spend most of Melancholia Hymns establishing some sort of post-rock footing while occasionally taking the time to throw in some callbacks to various points in their past. On paper, there’s absolutely no reason why Arcane Roots shouldn’t be able to pull this off – they’ve always had an ear for gorgeous, expansive passages and Andrew Groves can capture that necessary fragility in his vocals perfectly – but even with the benefit of multiple listens in which it admittedly does click a bit more than at first, there’s no way of getting around how disappointing this album is. There’s no joy in admitting that, especially with what this band has put out in the past, but Melancholia Hymns feels like a significant regression from their more recent output. The reason for that isn’t because it’s an entirely bad album, either, because it really isn’t. It’s just that, for as obvious and easy as a move to post-rock should be for this band, there’s none of the movement or dynamic that makes the best post-rock so affecting, and a lot of the time, Melancholia Hymns just falls flat. It’s hinted early on that this is the case with opener Before Me, essentially a six-minute intro track that attempts to elevate its whirling strings to a truly epic climax, only to fall and deliver no satisfying payoff. The introduction of prominent electronics doesn’t help either, leading to the likes of the stodgy, overwrought Fireflies, or Arp, which does execute a better shift to a full band instrumental, but not until the halfway mark after bogging the track down with paceless melodies and blinking chillwave synths. That’s another reason that Melancholia Hymns doesn’t always work – as concerned as Arcane Roots are with washing over the listener with atmosphere and Groves’ airy, glassy vocals, there’s nothing to grab onto with these passages, and considering more often than not they run long, it can feel like a slog to get through. Hell, for as impressive as the vocal performance on Indigo can be, it still feels like two different songs attached together, neither of which are all that engaging or interesting. That’s not to say that all of Melancholia Hymns experience this; Arcane Roots are too talented and have such a knowledge of how to work melody that it’s very unlikely they’d make a blunder of that magnitude. They at least have the good grace to make the strings and orchestral arrangements as glitzy and embossed as possible, and even when it struggles to catch the attention, it’s easy to appreciate that this is a well-constructed, sonically pleasing album. Even beyond that, when they fully get the balance between that atmosphere and some heavier, more direct instrumentation, the results are as good as ever; Curtains hits its buildup with more force and more developed transitions that do get the wheels spinning when they need it most, and Everything (All At Once) and especially Off The Floor are the sort of condensed, focused alt-rock tracks that show exactly what Arcane Roots can produce when all their energy is focused on one vision. Their persistence in pushing this more expansive side is admirable, and the fact that they get the closest to making it work on closer Half The World does suggest that it could become a viable option in the future, but it speaks volumes that Melancholia Hymns‘ greatest peaks come when it’s at its most direct. But again, they do hit some form of stride with their post-rock direction eventually, so maybe there could be some mileage in it after all. That’s a very real possibility, but it would’ve been nice if Arcane Roots could’ve honed that themselves instead of spending such a critical release basically testing the waters for what might and might not work. There’s definitely effort gone into here, that can’t be denied, but it frequently feels misdirected, almost as if there was an idea there that struggled to properly get put on wax. It does leave Melancholia Hymns in an awkward position as the already “difficult second album” burdened even further with such a case of indecision, but it’s hard not to give Arcane Roots the benefit of the doubt. There’s something here that could blossom into greatness with a bit of work; let’s hope they can isolate and cultivate it by the time album three comes around. ‘Melancholia Hymns’ by Arcane Roots is released on 15th September on Easy Life Records / Red Essential. Wow. Did we listen to the same album? It’s incredible! !